Stage director, Choreographer, Dancer, Zack Winokur, born in Boston, Massachusetts is a graduate of The Juilliard School. Upcoming performances in the 2017-18 season include Il Barbiere di Siviglia with Lotte de Beer at the Dutch National Opera; Perle Noire: Meditations for Joséphine, with music by Tyshawn Sorey, text by Claudia Rankine, and starring Julia Bullock on the grand staircase of the Metropolitan Museum of Art; Sondheim’s A Little Night Music with the Nederlandse Reisopera in collaboration with design firm Charlap Hyman & Herrero and visual artist Cynthia Talmadge; and a new production of Hans Werner Henze’s El Cimarrón, starring Davóne Tines also at the Met Museum. Past work this season included directing The Black Clown, an adaptation of the Langston Hughes poem starring Davóne Tines with music by Michael Schachter; Monteverdi’s L’incoronazione di Poppea, starring Anthony Roth Costanzo, at the Cincinnati Opera; an immersive pairing of Gluck’s Orfeo and Matthew Aucoin’s Orphic Moment at Lincoln Center’s Rose Theater; Monteverdi’s Il Ballo delle Ingrate with William Christie, and Rameau’s Hippolyte et Aricie, with Stephen Wadsworth, at Juilliard. His new company, the American Modern Opera Company (AMOC), which he co-directs with Matthew Aucoin, started a new annual festival, the Run AMOC! Festival, at the American Repertory Theater in Cambridge, MA, held its first major teaching residency at Harvard University, was the Artist-in-Residence at the Park Avenue Armory, and performs a new version of John Adams’ El Niño, written specially for the company, at The Cloisters. He also collaborated with grime artist Pepstar on a short film, performed in Gerard & Kelly's Modern Living at the Mies van der Rohe Farnsworth House as part of the Chicago Architecture Biennial, and gave masterclasses at the Dutch National Opera Academy and New York University. Winokur’s most recent production of The Black Clown, a sold-out three week run at the American Repertory Theater, was described as ‘pure poetry’ in the Boston Globe and ‘an exquisite show… precisely why we have and need theater’ by WGBH. His production of Cavalli’s Venetian baroque masterpiece La Calisto for The Juilliard School, was hailed as ‘one of the most elegant and imaginative shows seen in New York this season’ in Opera News, garnered rave reviews in a plethora of other publications including The New York Times and Vogue, and received a nomination for Best Production of the Year in Opernwelt, the only American production to be nominated. Additional productions include the The New Prince (Dutch National Opera—world premiere), Svadba (Festival d’Aix-en-Provence, Grand Theatre de Luxembourg—European premiere), Dido and Aeneas (La Nuova Musica at St John’s Smith Square), A Flowering Tree (Opera Omaha), Les Mamelles de Tirésias (Festival d’Aix-en-Provence, La Monnaie, Aldeburgh Music, DNO), Der Kaiser von Atlantis (Central City Opera, Juilliard Opera), Most of the Boys(Royal Opera House—world premiere), Mesh (International Contemporary Ensemble—world premiere), Triptych (Museum of Arts and Design), and a restaging of Episode 31 by Alexander Ekman for the Joffrey Ballet. He also co-directed, with Mary Birnbaum, a special performance in the Supreme Court for Justice Ruth Bader Ginsburg’s 82nd birthday. 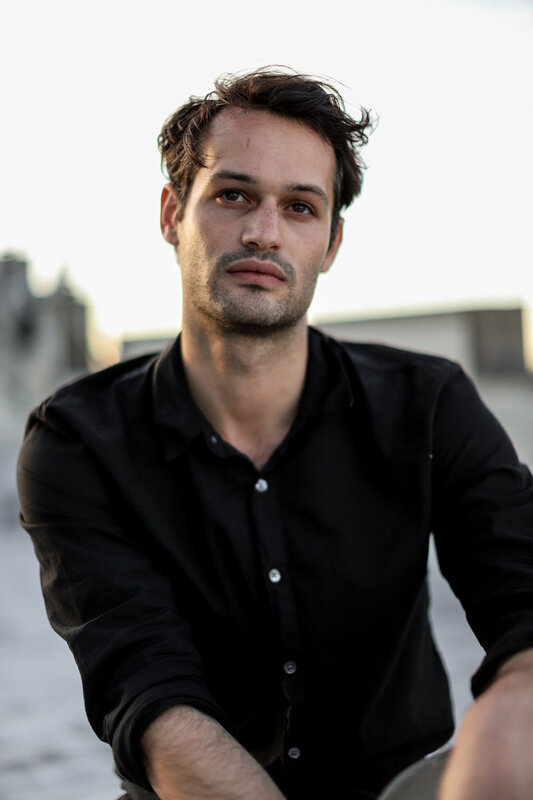 Zack Winokur has worked on film with Academy Award-nominated director Mike Figgis, collaborating on Burlington Project, a commission from the Royal Academy of Arts in London, and Dancing on Glass, with pianist Rosey Chan and fashion house Boudicca, which was exhibited in Paris, London, Beijing, Tokyo, and Barcelona. His choreography also has been seen in the music video The Virus for A Tribe Called Red; at David Lynch’s Club Silencio and the Centre Pompidou; and in installations that took over the entire Royal Opera House, Covent Garden over the course of three days.